Paperback, 6 x 8.25 in. / 318 pgs / illustrated throughout. Has constructing fear become the new role of urban planning? 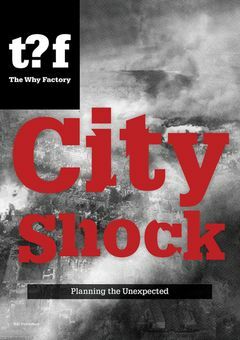 Winy Maas and The Why Factory deconstruct the regime of urban fear mongering with a collage of faux newspaper spreads reporting on fictitious future catastrophic events. Text by Winy Maas, Felix Madrazo. In a world of seemingly ever-increasing instability, many urban planning decisions seem to be governed not by vision, but by fear--fear of disaster, of change, of the unknown. What can we learn from this state of affairs? Can such fear be made beneficial? Is it conceivable that ‘fear’ might even offer a kind of guide in matters of urban planning? Guided by fantasy and invention rather than science, City Shock: Planning the Unexpected proposes ten ‘what if’ scenarios, imagining how each of these scenarios could play out in the Dutch landscape between 2018 and 2047. In a narrative composed of feasible but unlikely headlines, a series of newspaper-style spreads report on fictitious future catastrophic events, exposing possible causes and consequences. City Shock is the sixth book in Winy Maas’ Why Factory’s Future Cities series. Text by Winy Maas, Ulf Hackauf, Adrien Ravon, Patrick Healy. Text by Winy Maas, Felix Madrazo, Bernard Hulsman. Text by Winy Maas, Pirjo Haikola, Ulf Hackauf, John Thackara. Text by Winy Maas, Kristin Feireiss, Ole Bouman, Wouter Vanstiphout, Michiel Riedijk, Jacob van Rijs, Nathalie de Vries. 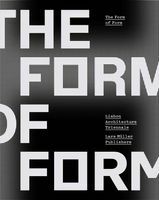 Text by Winy Maas, Alexander Sverdlov, Felix Madrazo, The Why Factory. Text by Winy Maas, et al. Text by Winy Maas, John Thackara. Edited and with text by Winy Maas and The Why Factory. FORMAT: Pbk, 6 x 8.25 in. / 318 pgs / illustrated throughout.